Homes with several large windows in multiple rooms need large window coverings and those large blinds or shades may need to be adjusted multiple times per day to get just the right lighting. 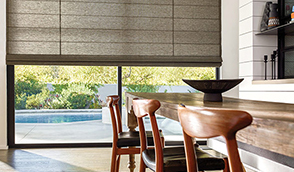 With motorized shades, you don’t have to manually raise or lower shade after shade. That means no more climbing ladders or stepping over and around furniture. Just push a button and you’re done. 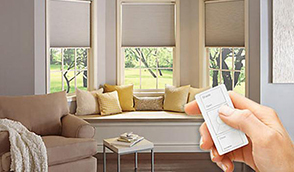 Motorized shades can be programmed to raise and lower at certain times of day. Programming your shades can also give you peace of mind, as you’ll know that your home appears “lived in” even when you’re away for days or weeks on trips or vacations. 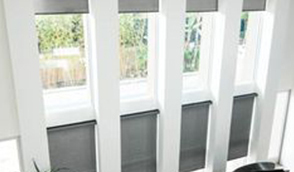 Contact DC Shutters for High Quality Motorized Shades in Brampton, Toronto, Oshawa, Oakville, Kitchener, Waterloo, Hamilton, Niagara, Toronto, Richmond Hill, Aurora, Newmarket, Ajax, Whitby, ON.